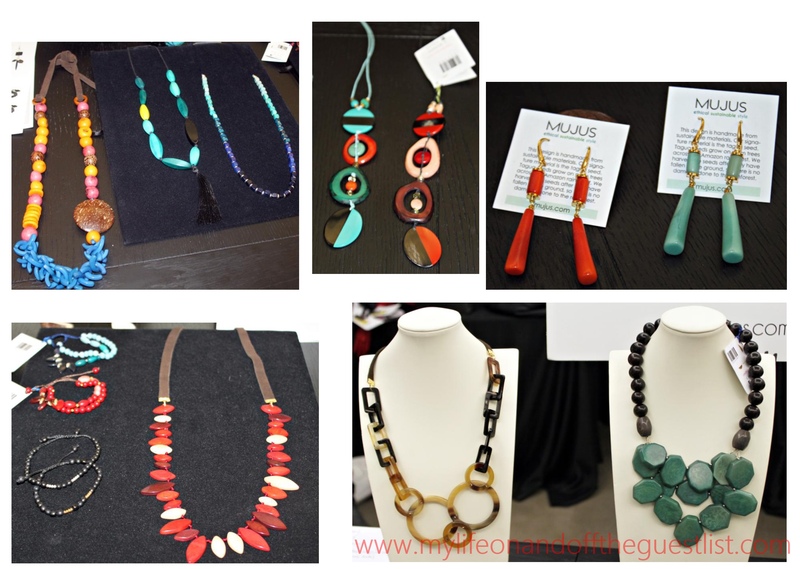 Last year, thanks to the Accessories Council, we were introduced to a fair trade jewelry, Mujus Jewelry, at the preview for their Holiday #ACTopPicks, and we’re happy to get reacquainted with them again. The contemporary jewelry and accessories line, designed by Paola Delgado, is crafted by artisans under fair trade practices in Peru, Ecuador, Vietnam, and other stunning destinations. 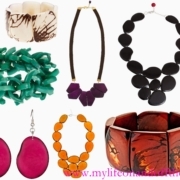 You can’t help but fall in love with the eco friendly jewelry pieces made from Tagua Nut, a seed from a tree similar to a palm that’s widely known as a sustainable ivory alternative. 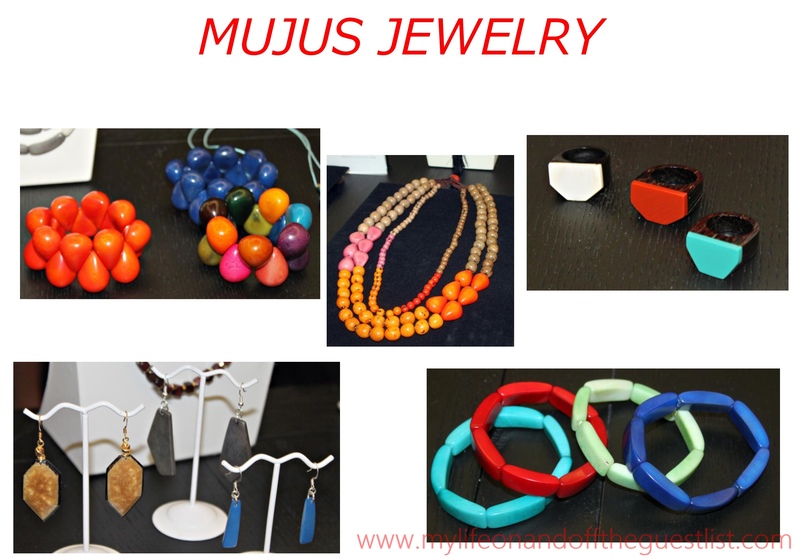 It’s amazing to see how these ordinary seeds are transformed into the colorful, bold, jewelry designs that Mujus jewelry is known for. 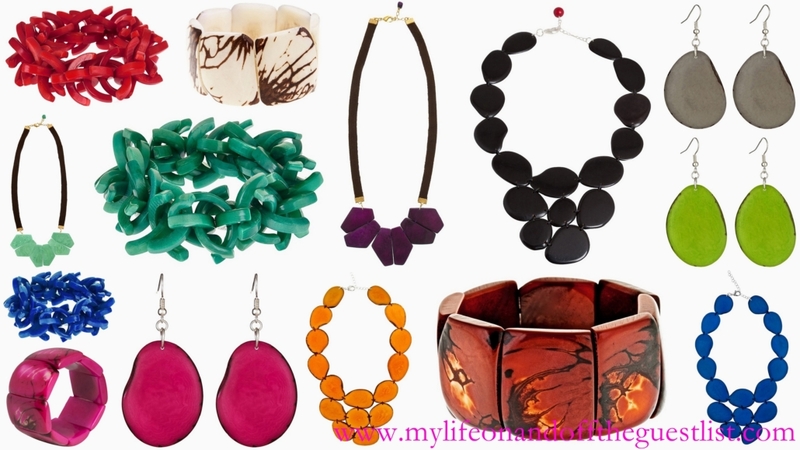 The first piece we were introduced to was the Bam Bracelet (see first image in the top left corner), a bold and lightweight bracelet featuring polished teardrop-shaped Tagua seeds that are strung together. 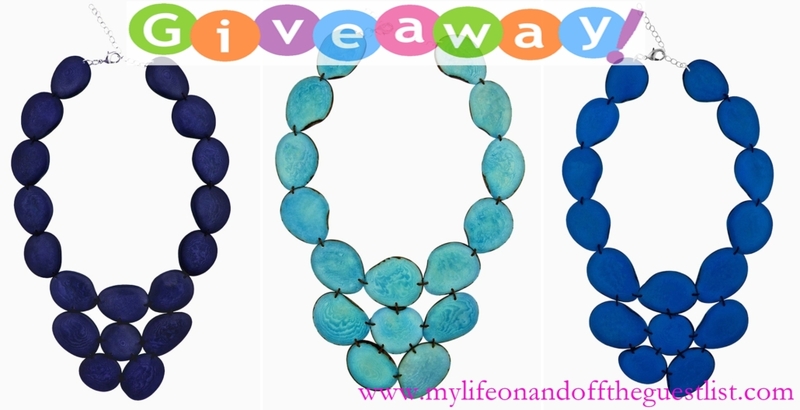 It was love at first sight for us, and from then on, and it wasn’t difficult to all for other designs like the cascade of color that is the triple strand Niagara Necklace, the eye-catching and modern Sol Color Ring and the Ventana Ring (both of which are made from recycled Tagua), and the Fiesta Necklace, a wonderful mixed material necklace made from a combination of Tagua, bombona seeds, and coconut. Of course the styles we’ve highlighted are just a sampling of the gorgeous jewelry the artisan brand has available, all of which make excellent Christmas gifts for yourself, and of course loved ones. 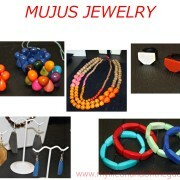 Would anyone on your list love a piece or two from Mujus Jewelry this holiday? What are your favorite pieces?